Haglöfs Vide Medium Rucksack is a semi ventilated daypack, with focus on versatility. 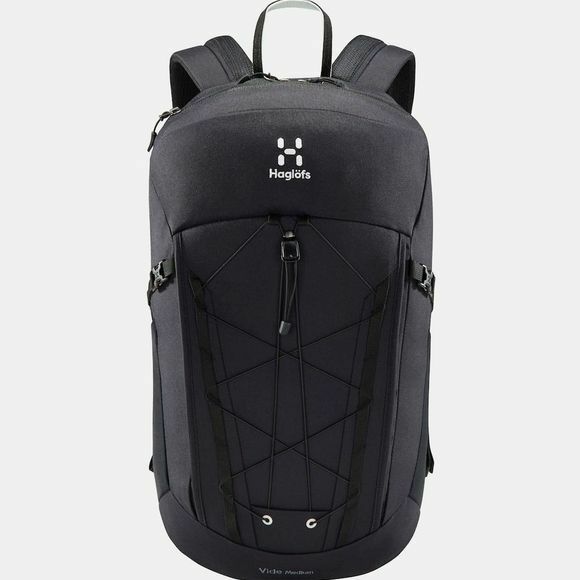 This pack work well on the hike, on the bike, in the city, to the gym. Pockets for all your small items. Easy accessed zipped sleeve for bladder or why not put your computer on your way to work. Made from super durable materials with a nice matt luster.